Forum Topic "First build opinion plz"
It's a fine case but the storage capacity isn't the best. Here's a case around that price range which I'd recommend. Forum Topic "which headphones to buy?" I don't understand. What is there to be skeptical about? His actions online and in real life directly relate to his explanation in the manifesto. What part of the manifesto do you think they lied about? The DT 990 PRO and HD 58X will have the best audio quality. The HyperX Cloud is a good gaming headset but not as good as a studio headphone like the above two. The HyperX Cloud and MH751 are based of the Takstar PRO 82 headphone and are quite similar. The Samson is an okay option if you're on a tight budget. Forum Topic "Just looking for a pair of boots..."
Forum Topic "Opinions on parents paying for one’s college?" Forum Topic "Viola or Violin? Which One?" Size shouldn't matter. I'd personally go for the violin since it will be more unique coming from a deep sounding instrument like the cello. Not sure about the HDMI issue but I've only used VGA and DVI and they've both worked great. Forum Topic "What would be the best car for me?" Maybe the new civic? I have the last gen and it's pretty solid. Driving alone on the highway I've made 50 MPG. Typical highway is around 45 and in the city 30. Forum Topic "Best gaming headset out of all of these?" Cloud or Cloud 2. Stinger's not worth it since you can get the Cloud's for nearly the same price and the G430 is just trash. Forum Topic "Help a Audio Newbie out"
Forum Topic "Anyone Speak a second language?" MaIeek's Completed Build: Potato Server ? That's the right way to go. Last thing you want to do is open a credit card and having a balance over a gaming pc. Definitely not worth it. Forum Topic "How do i measure"
There are no prebuilt or even hand configured PCs for $250 that will match/ outperform modern consoles. Forum Topic "Need heaphones or headset around 100 euro"
The 559 is the newest version of the 558. Not much changed besides the aesthetic. I'd go for this pair unless you have to have something cheaper, then the Superlux isn't a bad option. Forum Topic "Any great Dubstep you guys know of?" This. Posting that link is just insulting. If people ask a question give them an answer, don't be an *******. Forum Topic "Logitech G610 Brown vs WASD Code 104 Brown"
Forum Topic "Headphone for around 100$-150$"
considering m40x is not far behind the m50x and <half the price I'd go with those. Pioneer hasn't made any good headphones in recent years. Forum Topic "Senheisser PC373D any good ?" 363D/Game ZERO are based off the 380 PRO, I would avoid those. Game One's on the other hand are based off HD 558's and will be a much better headset. Forum Topic "CPU cooler donation needed"
I mean can't you help him yourself? This guy is your friend while he's just a random stranger to us. Forum Topic "Budget microphone help needed!!" Forum Topic "How to make a lot of money over the Summer?" Tutoring, music lessons (if you play an instrument). Forum Topic "High-end PC Headphones for Gaming?" Sennheiser HD 558. I wouldn't spend more than that if you're just gaming. If you want the convenience of a headset there's the GAME ONE for $100 more. HD 650 require more time and money to get a nice setup. High quality music/audio (which a lot of games don't have), and an amp and dac to add to the costs. You won't have to worry about all that with a cheaper pair. Forum Topic "Best all around headset"
Koss KSC-75+ Sony EMCS3 mic. No headset in that price range is remotely good. Forum Topic "apu with a gpu"
Terrible idea, especially with the A6. Very poor performing processor that is not even suitable for light gaming. Forum Topic "So how bout that Paramore guys?" I think it's alright. Doesn't have the same energy that you could rock out to with their old style. Misery Business from RIOT! is my favorite song of theirs. Forum Topic "Affordable RGB Lights For PC Case"
Forum Topic "Headphones vs. Headsets?" Sennheiser HD 558 and Sony ECMCS3 clip on mic, should come to around 100 USD. Forum Topic "Should I Get Beyerdynamic DT 770 PRO?" Good headphone but it needs a more powerful amp than that. Around $70 the monoprice desktop amp would be good. If an amp is not in your budget the clouds are like a chesprr version of the 770 and should be fine with that adapter. Forum Topic "On-Board Audio Quiet/Weak"
Seems pricey for what it is. Power wise it's as capable as an iPhone 5 and I would assume the DAC is similar. Sennheiser has a some great products but also a lot of stuff mediocre stuff for the mainstream. After the Schiit Fulla 2 came out the original Fulla dropped to $59. Should work great with the Game ones. What headphones? Take the 600ohm rating with a gain of salt. They do not publish the actual specs for a reason. Also was it always like this or did it go quiet recently? What's sad is that he blamed everyone but himself for the actions he committed. Not going to say much to keep it SFW but I hope justice will be served. Forum Topic "Actual surround sound headphones?" Don't even bother with 7.1 headsets. Some use software, other have multiple drivers, either way you are not getting anywhere close to surround sound done by actual speakers and a subwoofer since they present sound in a completely different way. Forum Topic "Best headphones between $300-$400?" https://discordapp.com/invite/bu7AyEt the r/headphones discord (IRC chat). Forum Topic "League of Legends"
Play every role and try to improve each game. Also use unlocked camera and quick casting. Is the freeze due to high ping? I'm playing on the latest client with Windows 10 and no in-game issues across my laptop and desktop. My desktop has a 9800gtx+ which is at least ten years old and a Haswell i5 and it easily gets 60FPS on max settings at 1080p. The build xTwistts linked would be good but the graphics card isn't needed. Again your PC is plenty for League so I would try to fix it instead of buying a new pc. Keep in mind the best audiophile headphones in that price range will easily reveal flaws in music/audio and are not designed to be plug and play. They need an amplifier to provide power to the headphones in order to perform as intended and a good DAC (digital to audio converter) for a distortion free and clear audio signal. Expect to spend an additional $250 if buying new for these added components (Schiit stack for example). The headphones also produce sound differently and unless you can hear them in person the best you can do is read online reviews . Or for a better understanding, learning to interpret graphs of the headphone's measurements that show their technical performance. So... if that sounds like something you wouldn't be interested in there's also the option of buying a cheaper headphone that will work well with all kinds of devices and file qualities. Around $100 Sennheiser's HD 558 is a good value and often are on sale at Bestbuy for $80. They have everything a gamer would need: comfort, spacious and detailed sound, good build quality, and a detachable cable. If you're interested in the higher end audiophile setup it would be doable in your budget but you'd need to buy used components. There's not much that could go wrong with the amplfiier and DAC but the headphones might need replacement earpads. Forum Topic "Which headphones should I buy for $100?" If you want the best option get a pair of open back headphones with a mic. Sennheiser HD 558 goes on sale for $80 often at best buy but even for $100 it's a fair price. Below that I'd only consider the m40x+mic and HyperX cloud from your list, the other headsets aren't worth it. 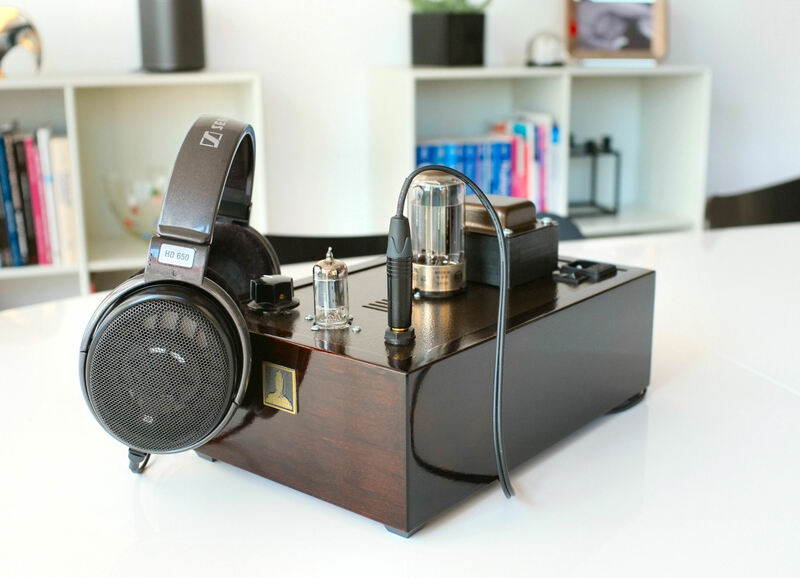 It's a DIY tube amplifier that pairs really well with headphones like the HD 650 because of its high output impedance, giving it a rich and vibrant sound. The speedball is an upgrade to the bottlehead crack amp that increases the fidelity and lowers the noise floor. It's an awesome headphone amp comparable to amplifiers several times the price. Plus you can have fun with tube rolling to change up the sound. If you wait for a sale it comes to around $330. Have you looked at a Bottlehead crack+ speed ball? Forum Topic "ASTRO A40 TR Compatibality???" From reviews they seem to have the same sound quality as the cloud but with better build. The 7.1 software isn't that great either. Leave that for high end sounscards. Earbud style id look at ve monks from aliexpress . If you don't mind on ear and a bit higher price Koss ksc 75 blows it away. Forum Topic "Good Graphing Calculator for the cheapest price possible?" Any Ti83/Ti84 would work great. Main differences are the higher versions are more powerful and have more storage (not needed anyway in your situation). The HyperX Cloud is the only "gaming" brand headset worth looking at for under $100, the other brands skimp in sound and/or build quality and rely primarily on marketing to sell their product. The Game One is a bit overpriced since you're essentially paying for a Sennheiser HD 558 ($80) with an integrated mic, but they're are among the top for sound quality and comfort in that price range. Compared to the Cloud they will have a more balanced and detailed sound. However the bass won't be as deep or punch as hard (which is a complaint I see often from the average gamer).